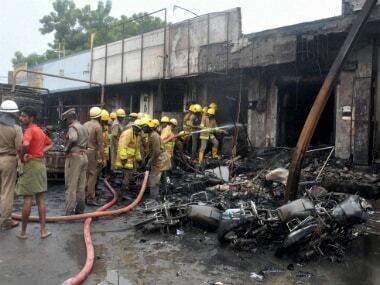 Eight people, including six women, died of suffocation as result of excess fumes in a firecracker mishap at the fireworks hub of Sivakasi in Virudhunagar district on Thursday afternoon. The mishap, which occurred when a fire broke out while crackers were being offloaded from a vehicle to a shop, comes days ahead of Diwali festival when fireworks units in the district are abuzz with activity to cater to the countrywide demand for crackers. "A total of eight people were killed and six of them were women," a senior police official told PTI in Sivakasi. Virudhunagar District Collector A Sivagnanam said a total of 22 persons were affected, of whom eight died. "The deaths occurred due to suffocation as result of excess fumes and not because of any blast," he said, adding those affected by smoke inhalation were admitted to a government hospital and a nearby private hospital. 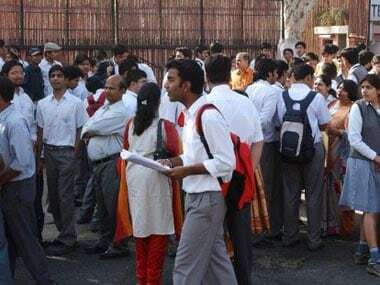 According to this The Times of India report, the deceased have been identified as A Baskar, 42, manager of the scan centre; A Kamatchi, 22 and M Pushpalakshmi, 35, who were nurses at the scan centre; and H Sornakumari, 36, S Devi (three months pregnant), 18, G Valarmathi, 18, Raja, 21 and P Padmalatha, 44 who were patients. A 40-year-old doctor, K Janakiraman, who is in a critical condition, has been admitted to a private hospital in Madurai. While H Shanmugarajan has been admitted to the ICU of Sivakasi Government Hospital. 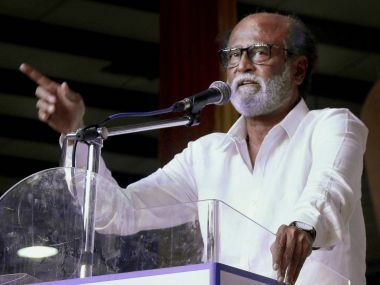 Some were also referred to Madurai hospitals for being administered with "breathing facility", Sivagnanam said. The incident occurred when a fire broke out while crackers were being offloaded from a van to a cracker shop, resulting in its spreading and affecting a nearby scan centre also. It also damaged parked vehicles, including two-wheelers, police said. They said the fire was caused due to mishandling of the consignment of crackers while being offloaded by the employees and that the fire had been brought under control by Fire and Rescue services. Describing it as an 'unfortunate accident', Sivagnanam asserted that the administration has been carrying out safety drills in the district, about 500 km from Chennai, to prevent any such mishaps. According to The Hindu, the license of the shop owners – Anandaraj and Shenbagaraman – have been booked, the police said. It is not the first time that such an incident has occurred in Sivakasi, a town which is also known as the country's fireworks capital. In September 2012, 38 people were killed and over 60 were injured after a fire blew up large amounts of firecrackers and raw materials stored at the Om Siva Shakti factory. The police had arrested 11 employees of the factory on charges of culpable homicide and storing explosives illegally. The police had also said the factory was operating illegally after authorities suspended its license for major safety violations. In October 2009, 32 people, most of them Deepavali shoppers, were killed at a cracker godown fire in Pallipattu in Tiruvallur district. Sivakasi has over 700 registered factories, which make around 20 billion rupees annually, where chemicals are often mishandled and safety precautions flouted. Also, the factory owners often outsource work to thousands of smaller units which function illegally, highlights this report. The daily wages of the workers are as little as Rs 150 to 300, and they are mostly uninsured with the factories being stationed far away from proper medical facilities. As many as 30 people were killed in 2001 and over 60 in 1991 in similar incidents; about 20-25 workers die each year in fire accidents in this industry. By merely announcing compensation for the victims and ordering probe would do no good unless the local governments take concrete measures on safety practices. These recurring fire mishaps only highlight how neither the state government nor the fireworks industry has learnt anything. Highlighting the issue of persistent safety practices in the fireworks industry, this New York Times article quoted Asha Krishnakumar, who runs a market research firm and has investigated the Sivakasi fireworks industry, as saying that the fireworks industry’s safety practices need to be monitored more regularly, by elected officials as well as nongovernmental organisations. “When deaths occur the whole world wakes up."